Before starting the talk about the phone it's necessary to make some reservations. 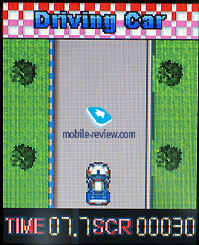 There are some manufacturers whose products appear on Mobile-Review.com but are paid little attention. The explanation is rather plain they are not of real interest or corresponding quality. When speaking about Pantech the quality is average, the functionality is standard and at the same time the company attracts attention to them thanks to active advertising campaigns. Thus it is silly to write enthusiastic reviews, the products are not worthy and writing negative articles is tiring. Just imagine every review in the same tone, that makes feel sick and tired. And like any other I don't like writing bad things about a product. Then writing reviews on the most considerable products that appear from time to time is a compromise. 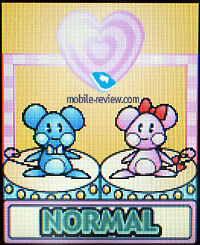 Pantech's time came after the review of G500. 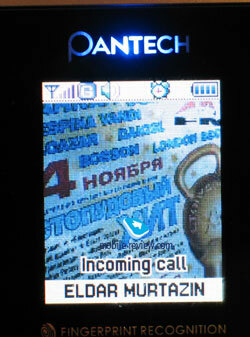 And after 9 months in the Russian market we can talk only about after sale maintenance in the case of Pantech. Reasoning from delivery and repair data we can say that waste is about 15 per cent. After a year the result will be even higher and also one should take into consideration that phones of this brand are not repaired in the regions. Service centers do not have software for upgrade and phones are sent to Moscow on this purpose thus repairing takes more than a month considering the way to the capital. With the widening of distribution networks products of the company may be found in many retail points and the only things to solve are service and functionality of the devices. GI100 is a leading model of the line and by a twist of fate it is one of the most popular phones in retail. A unique feature of the device is stressed in the TV ad, it is a biometrical identification of the owner by fingerprints. 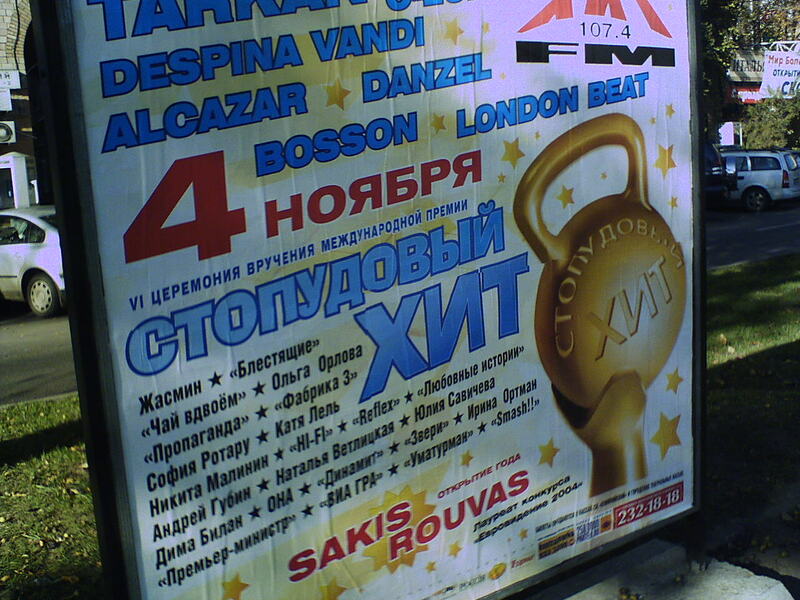 This is the first product of such class in the Russian market. Before it scanners were integrated only into handhelds. 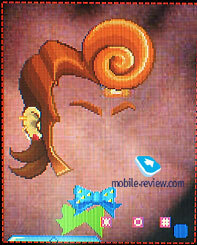 The company represents GI100 as a top model and looking at the box with the phone no any doubts appear. 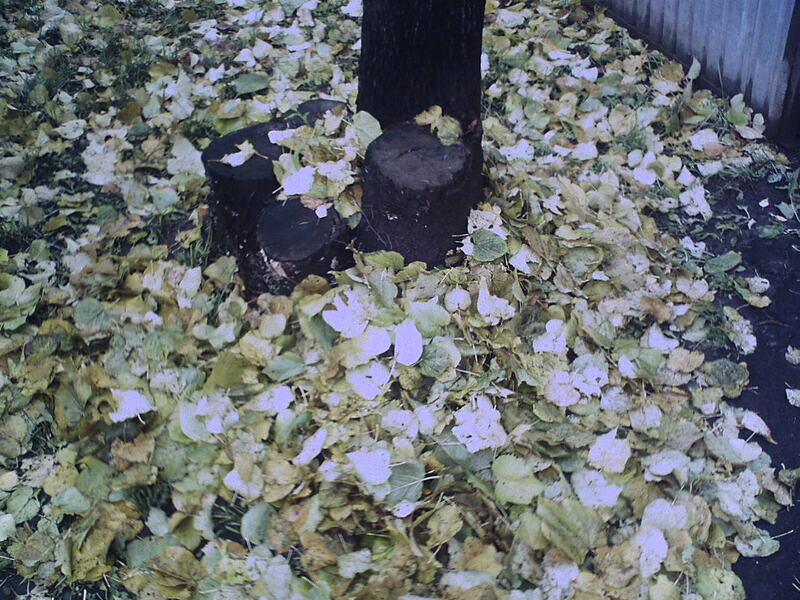 The package of GI100 is the best in the Russian market. It is a large box with a stylish design made of very qualitative cardboard. On opening the box you'll see a case in imitation of leather with the phone inside (it may be put into the case without a battery). In some kind the company repeats the things that Samsung did 5 years ago. Let's remember А100, This clamshell was delivered in a similar case. As for me, the price of the package is far beyond the limits but it is rather nice and leads to a necessary manner of treating the phone. 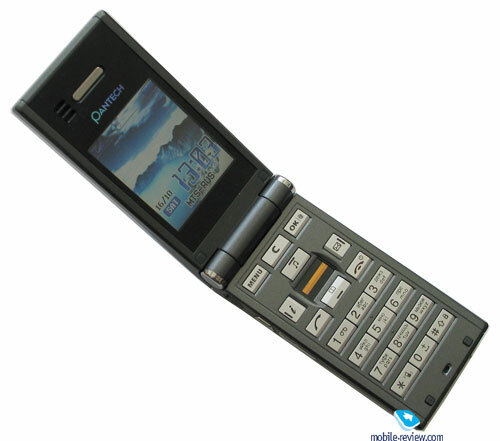 The design is rather up-to-date and the developers refused smooth forms and made the phone angular to stress a different essence of the device. This is a conscious try to oppose the design of the model to a crowd of phones by other Korean and European manufacturers. GI100 looks rather good against a background of them and really differs. G500 has the same plus. 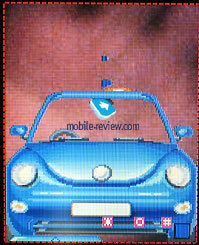 There is a black glossy insertion on the front panel around the screen and a megapixel camera gap under it. 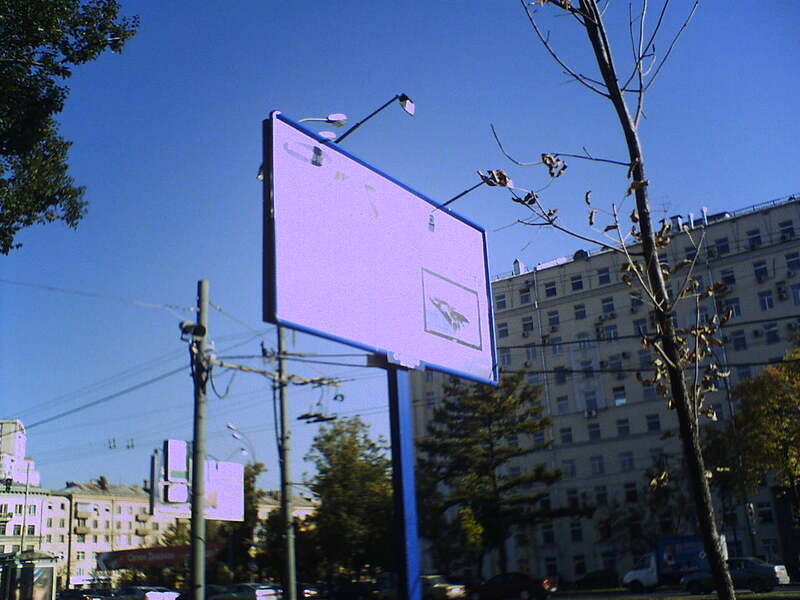 A service indicator is integrated into the name of the company on the glossy surface, it has various backlighting colors. The dimensions are typical for this class (80x39x22.4 mm) the weight is also standard (82 grams). The presence of an outer antenna doesn't look an anachronism, many products do not have integrated antennas. There is a handsfree headset connector on the left side surface and it is protected with a rubber cover. Also there is a camera button and a coupled volume level button. 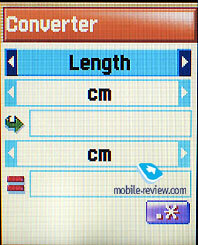 An interface connector also closed with a cover may be seen on the bottom end of the phone. A strip hole is in a special projection of the back-side surface. 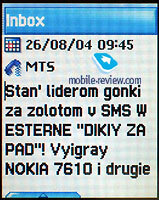 An external screen allows to show not only the picture of the caller but also last calls list and a list of SMS. 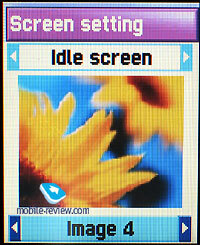 The feature is unique and interesting because it is often necessary to see some information without opening the phone. 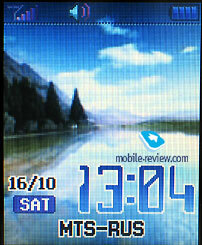 The thing concerning the settings of the screen that should be pointed out is a possibility to set any picture or analog clock as a wall-paper. 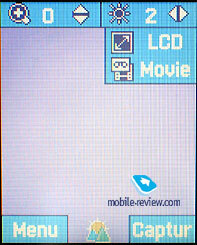 Having opened the phone you'll see an internal screen with the resolution of 128 x 160 pixels. It may show up to 8 lines and up to 3 of them are service. 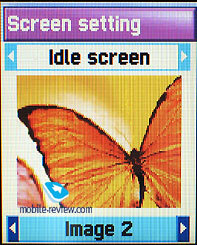 Both screens are 262K and the model is comparable with other devices in its chroma and the vivacity of the picture. In my opinion the new model has better settings of the screen than in G500 and the picture looks better. And now the main technical intrigue of the model. 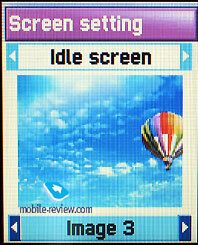 The external screen has the same resolution as the internal one (128x160 pixels, TFT). And the difference is strong considering different physical resolution. The same controller is used for both screens and it is a slight economy. Draw your attention to the fact that when opening the phone the external screen dies out. 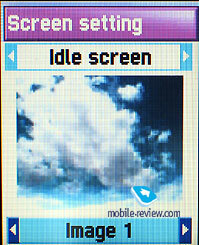 And closing the device you'll see the same picture that you had on the internal screen. 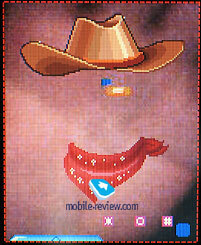 In traditional modes it is impossible to navigate with the help of the external screen though it may be realized. 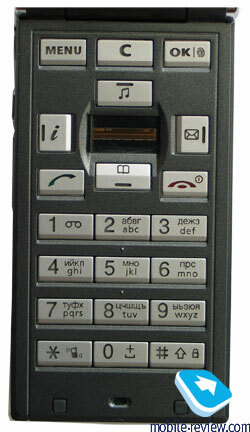 A keypad is unordinary in the fact that a sensor indicating fingerprints is placed instead of OK button. The disposition of all the other buttons is standard, the only exception is the OK button that now has the top-right disposition. The digital keypad is rather comfortable. The backlighting is blue and the characters do merge in the majority of cases. 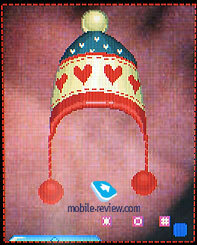 The glossy surface of the phone gets dirty very soon, prints from fingers and checks stay on it. At the same time these soilings are seen only in the bright light and not in the room. Two 780 mAh Li-Ion batteries are included into a delivery kit. As for me it is wiser to deliver two batteries of different capacity (thin and expanded) and I see no sense in the presence of two similar batteries when a desktop charger is absent. The majority of users will use only one battery and charge the phone at night. 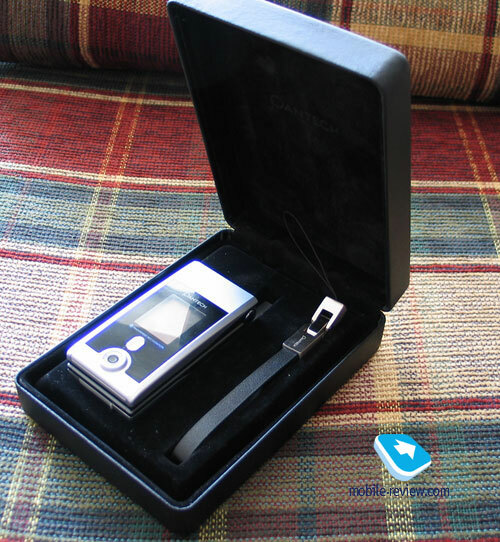 According to the manufacturer the device works for 200 hours in the standby mode and up to 3 hours in the talk mode. The manual tells of up to 90 hours in the standby mode in difference to the site of the manufacturer. 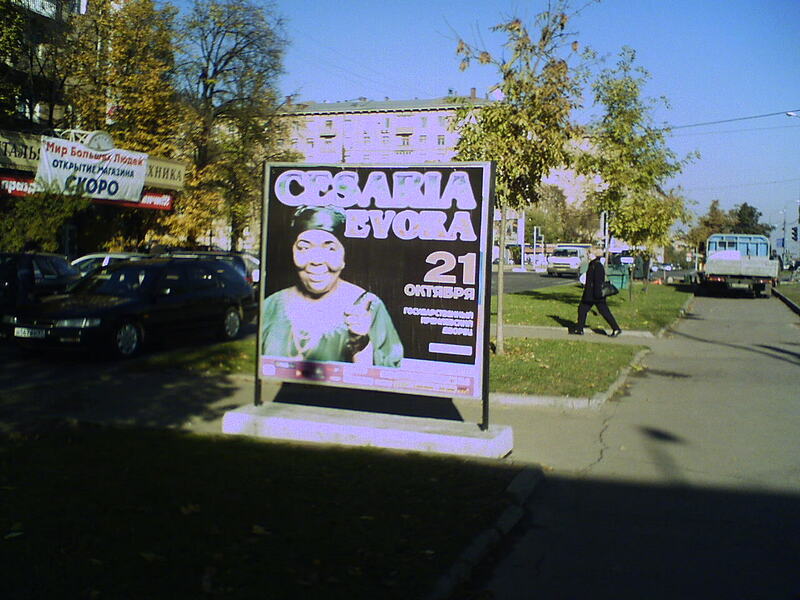 In Moscow the device worked for about 3 days in case of one hour of talk time and up to 20 minutes of using other functions. 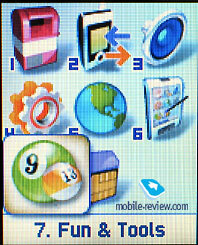 Entering the main menu is possible by pressing a corresponding key, the main menu is represented in 8 items and corresponding icons. In difference to other manufacturers the company hid many of the frequently used items into submenus. The presence of free space in the main menu looks untidy and gives no any comfort to a user. For instance, the camera or biometrical user identification would look well in this place. The menu supports fast navigation with the help of digital series. There is a possibility to assign separate functions to the own menu and it will be available on pressing the browser key. 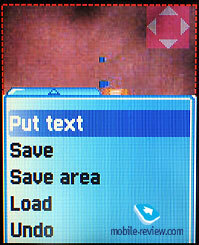 Submenus are represented as lists and it is possible to switch between near by menu items from a submenu using keys of horizontal shift. That means for example, on pressing to the right in the main menu in the Organizer list you switch to the Tools menu. 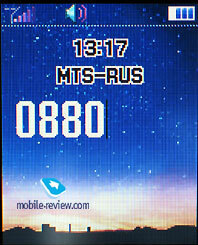 The device supports Russian and English input, there is a predictive one. Localization is done well though there are some terms with abbreviations and line foldings. 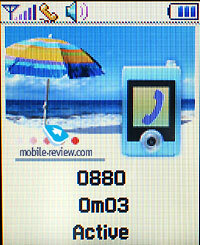 A manual included into the package makes working with the phone much easier, it is translated well and in detail. Biometrical identification. 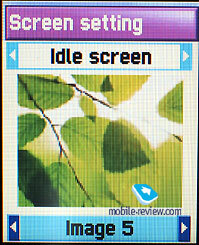 The scanner allows to set three security levels, they are low, normal (by default) and high. Anyway it is necessary to pass over the scanner thee times with medium speed and exact positioning. The phalanx of the finger is pressed to the scanner and is passed down slowly. In general it all takes about 5 seconds. And now the saddest fact. The manufacturer says that up to 10 numbers may be set into a secret list accessible only via biometrical identification. It is quite clear why only 10 numbers, because there are only 10 fingers on our hands. In reality it's better not to set identification for little finger passing with it is too uncomfortable. 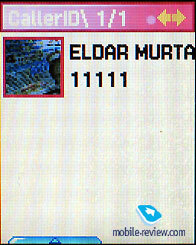 Thus having pressed the OK button you activate the scanner, pass over it with a chosen finger and the phone dials the necessary number. In theory it all seems logical and interesting, but the reality is very far from it. Let's make all the steps together. We open the device, press OK and hold the phone with both hands (it's impossible to hold the device with one hand and pass over the scanner), let's start scanning. 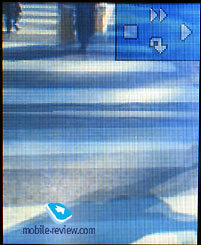 We'll think that the scanning is successful from the first try and you manage to do it with maximum speed (5 seconds). All the actions before this stage took 6-7 seconds. Dialing a number consisting of 7 figures takes about 5 seconds, a long one takes about 6-7 seconds. And that is when dialing calmly without any hurry. The security of the saved numbers is defensible with the same time for dialing but there is a hidden danger. A fingerprint has to be entered three rimes but not once. 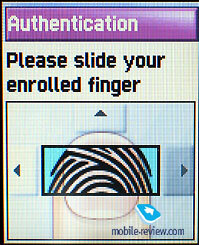 So the time for entering pass any comparison and recognition of your finger will take 15-17 seconds. 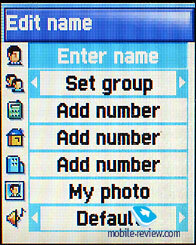 The security of the saved numbers is only supposed having uploaded the phone software on a PC with all the user data you get an access to all the saved data. Thus the identifier is more a fashion function than useful. Let's remember first handhelds equipped with such systems, they got out of sale very soon and manufacturers refused these systems because of the absence of users' demand. All the games in the phone are based on the fingerprint identifier because the manufacturer had to justify its presence. 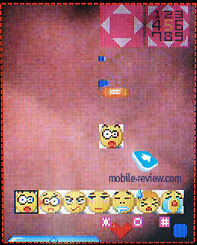 One of the games is very curious, there you pass with your finger and your sweet heart has to repeat this after you. 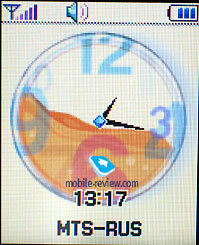 The phone makes some predictions basing on your finger prints. And now a very funny thing is when passing with the same finger twice you may get the note the finger is the same but in some cases the system tells that the correspondence is from normal to perfect. This characterizes the sensitivity of the system and its capabilities the best. 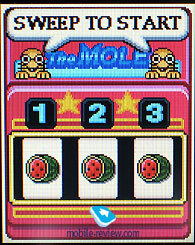 In other games you'll have to move your finger to drive a car (races), in a slot-machine clicking the sensor leads to the stop of the drum. It is almost impossible to play games in the absence of standard control possibilities. The only exception is a slot-machine, clicking the panel is comfortable. 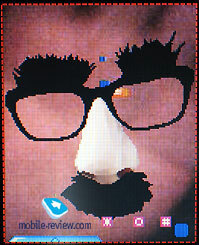 The conclusion on the identity system is rather plain, there is no need in the system at all. 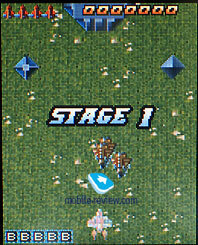 More over its presence makes it more difficult to use standard functions (games, the disposition of OK button). 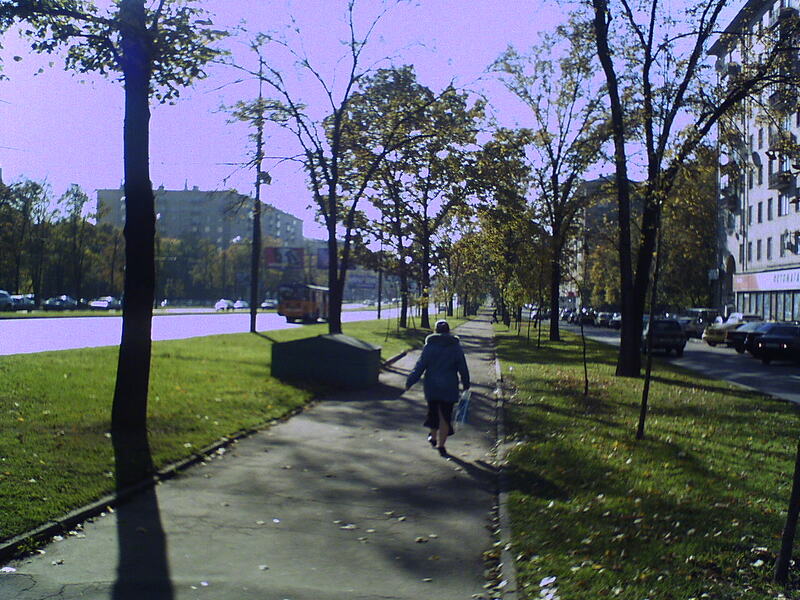 Megapixel camera. 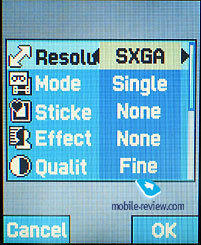 The camera support several resolutions, they are SXGA (1280x960), VGA (640x480), QVGA (320x240), LCD (128x160). Files may have one of three levels of compression - Fine, Normal, Low. Extra settings are rather plain, they are a possibility to choose a file name automatically, choose a lock sound and turn it off. A flash may work automatically, turned on or permanently off. There is an automatical substitution of the date and timer. 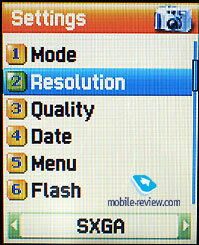 The phone supports multiple shooting for any resolution. Using one of the 10 frames is possible only for the least resolution. There is a possibility to call the menu where all the parameters are set in a shooting mode, the menu is displayed on a semitransparent background and it is rather interesting. 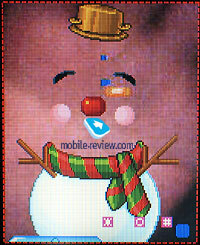 The phone has 10x digital zoom but it is not worth applying because getting the same effect using a PC is much easier. An advantage of the phone is that all the zoomed photos are stored as usual photos and the enlargement of a separate segment doesn't happen, that is a program transformation. The brightness may be set in a range of from 0 to 6. 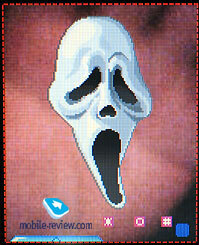 There is a number of effects in the phone, they are Warm, Sepia, Antique, Cool, Moonlight, Fog, Negative, Grayscale, Embossia. The phone has an intermediate position between the devices by Motorola, Samsung and is almost on the same level as Siemens S65. In difference to Siemens he picture is more vivid but there are evident mistakes in the colours, the phone analyzes the photo incorrectly and artifacts appear when compressing. 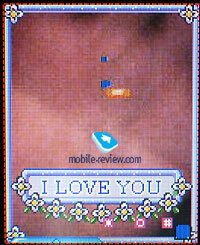 The edges of the photo are out of focus in the majority of cases and are fuzzy. 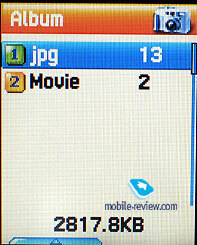 Video is recorded in MJPEG format, sound is recorded also. 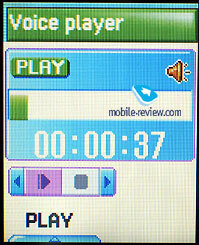 The limit on the length of the record is 1.8 MB for a file with maximum duration of about 3 minutes. The quality of the video is not bad and the picture looks well on the screen and there are no any sudden transfers, everything is smooth. 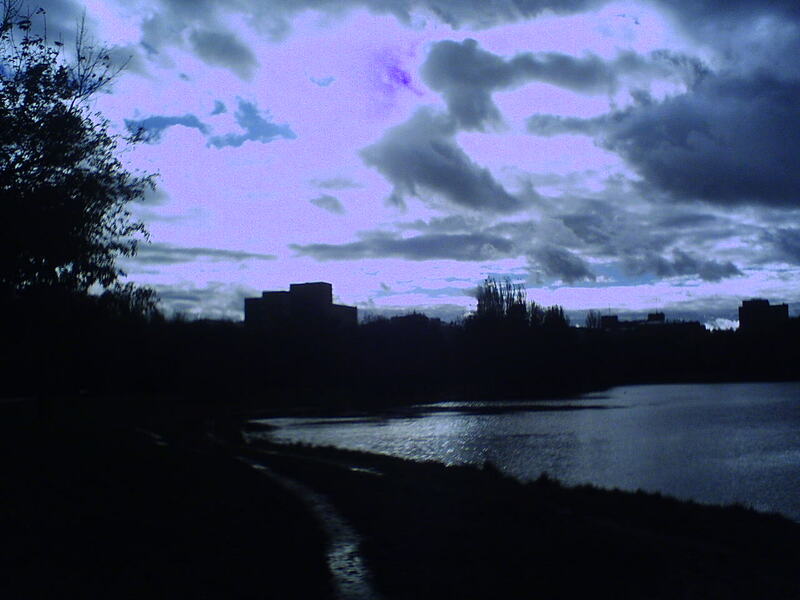 The saturation of colous is minimal and the picture is as if faded. 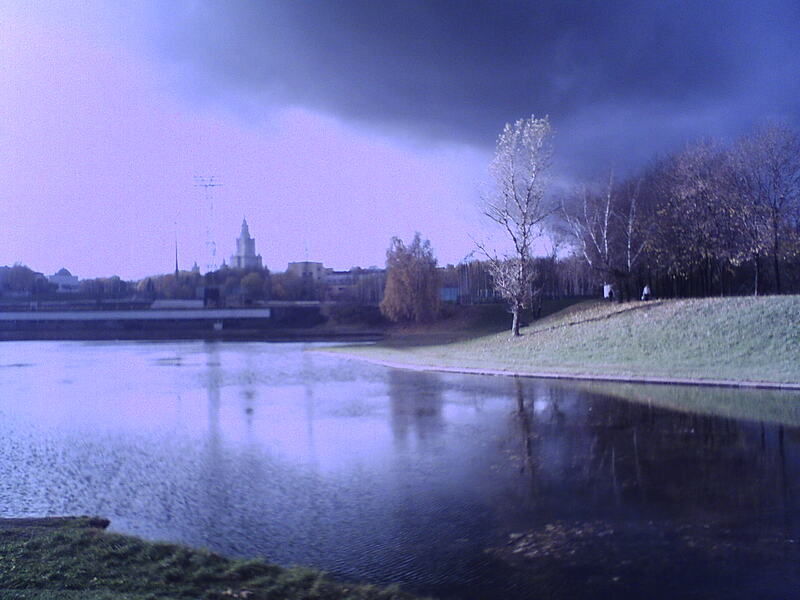 It seems to be a conscious simplification caused by the need to analyze the picture in the real time conditions. 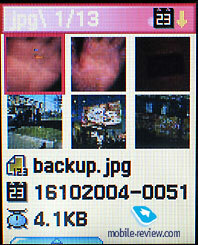 Viewing photos and video is possible from the Camera menu, all the files are divided into two categories and there are small icons. 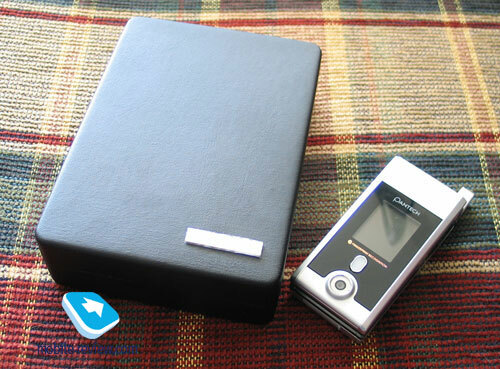 It is possible to transfer the photos to a PC using a cable and a standard software included into a delivery kit. I'll stress that transmitting all the pictures or several of them at the same time is impossible, you'll have to select a photo and then transmit it. Only the first file will be highlighted in the list, you scroll to find a necessary file again and then transmit it. In general all the operations for 10 photos take about 30 minutes. The comfort of use gets extremely close to absolutely nothing. 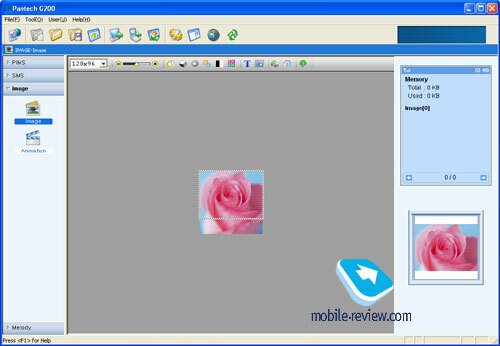 There is a photo editing mode, a plain editor. 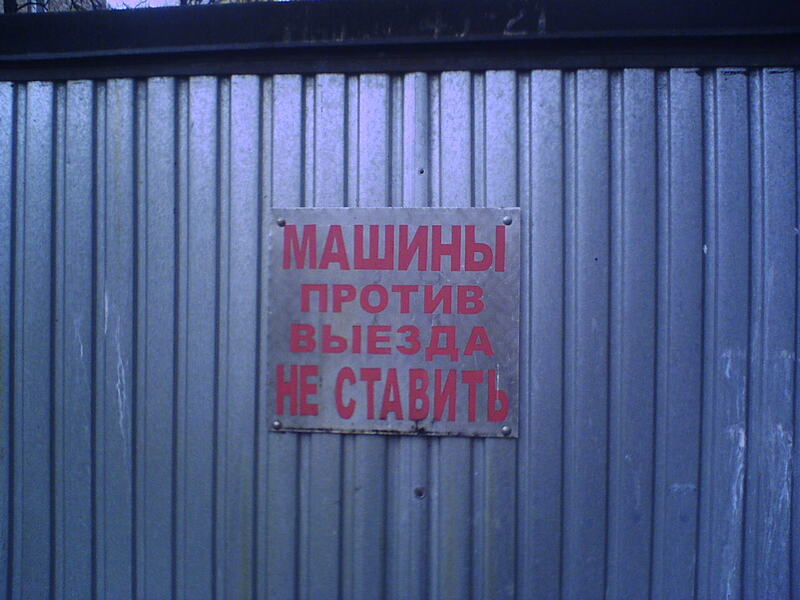 It is possible to add a frame, sign some text and do other things with a photo. Phone book. It is possible to store up to 1000 names in the internal memory (1000 numbers in case of one number for a name and 300 numbers in case of 3 numbers for a name). 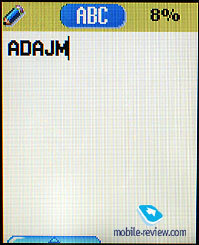 One name entry may contain up to three numbers, you may choose a group and enter a very short text note. The manual tells the length of the Name entry is 20 characters but it is 18 characters in the reality. Just like all the functions where entering text is a necessity the number of left characters is not identified and only the field fullness is shown in percentage terms. I can't judge the obviousness of percentage terms but in real life they are used very comparatively. Just imagine yourself translating the number of letters into percent and then making sure your note will be accepted. It seems abnormal to me. The menu is not thoroughly thought over. Thus, you can enter a name just starting dialing a number. 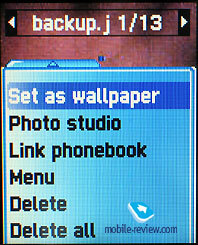 Pressing the OK button when choosing a photo leads to saving of all the data and leaving the editing mode. 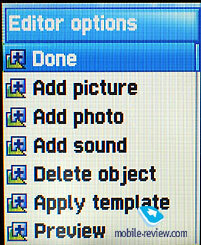 To assign a photo you'll have to call a pop-up menu, choose Edit item and only then choose a photo. 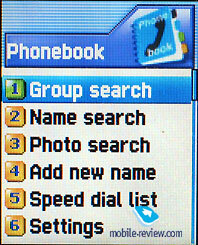 All the photos assigned to names in the phone book are copied to a separate folder. That helps erasing photos from the album smoothly without thinking whether they are used in the phone book or not. 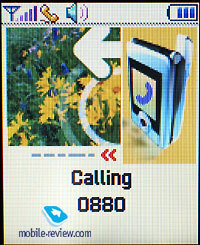 A video clip may also be assigned to a name (up to 780 KB) and in this case erasing a clip will lead to the break of the connection with the phone book. The photo assigned to a number is not displayed while dialing. 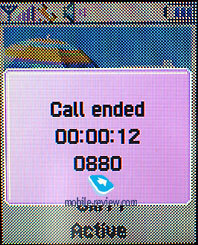 It is shown only during an incoming call and takes the most part of the screen (either external or internal). 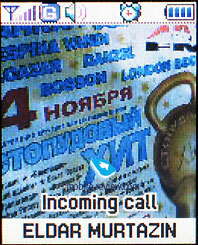 The name of the caller is also indicated but not a number. Icons indicating different types of numbers are not provided. 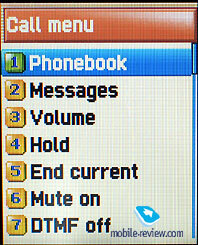 One of the minuses of the phone book is only 9 first characters of a name are shown in the general list. A selected line is scrolled but all the other ones are static. The developers sacrificed at least 6 characters to display icons for different numbers in a row (up to 3 icons to the right). Even when extra names are absent the field is not extended, it is fixed hard. 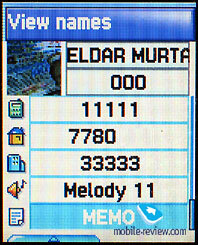 An icon indicating which memory the number is saved in is to the left of the name. The developers and to be more exact the programmers who created the interface probably had no idea about what logics was and let alone ergonomics. For instance, the majority of users are not interested which memory the number is saved into, at least the icon might have been shown in a status bar but not near the name. That would provide maximum length for a name and more comfort in data representation. It's curious that the status bar is present and indicates numbers corresponding with different icons one should only scroll them horizontally. Own melody may be assigned to a group and in fact that is possible for any entry. 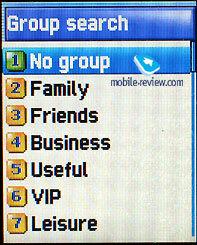 There are 7 users' groups in the phone. There are three types of search for an entry. The simplest and traditional one is by a user name. You may enter all the 18 characters in a field but there is no a successive search letter by letter. A group search provides the same possibilities but for a chosen group. The most interesting is a Photo Search function. Here a list of names correlated with photos is formed. In fact it is one more representation of the general list. Messages. 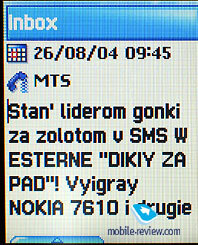 A user may not only enter usual SMS but EMS standard is also supported. And that is why 15 funny faces expressing different mood were added. 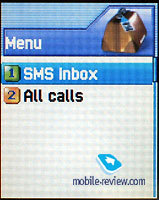 All the SMS are stored in a SM-card memory while MMS are saved in a dynamic one, the total capacity of the dynamic memory is 13.5 MB. 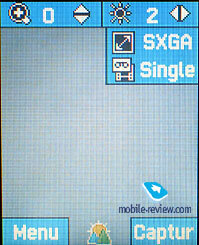 The device supports MMS and thus there is a possibility to create several pages. 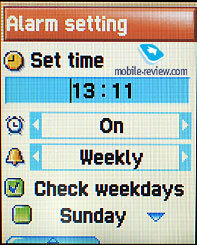 An interface is also not very ergonomic and calling the menu and working with objects take extra time. In general all the announced functions work properly. Call lists. 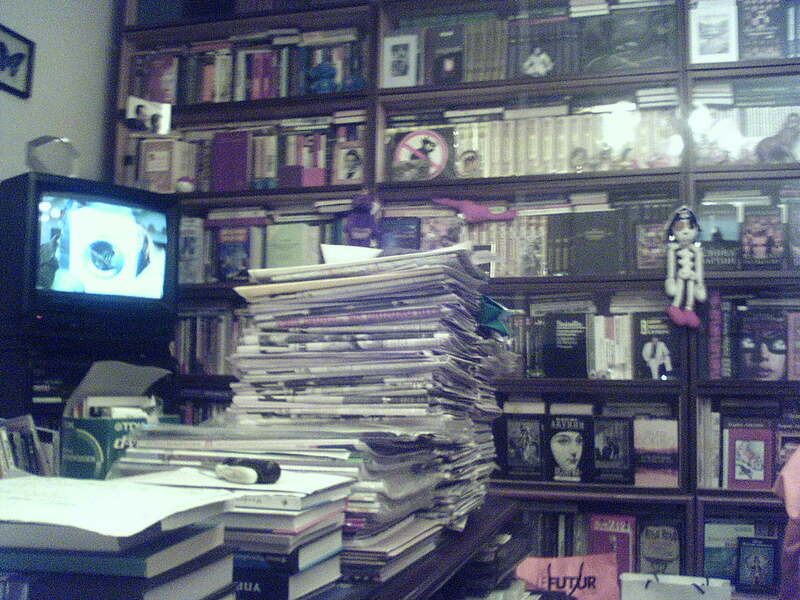 Each of the lists contain 20 entries and that is typical. There is also a general list of 30 numbers. The same numbers are not summed up and are displayed one after another. 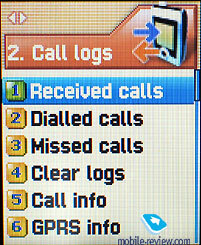 This menu contains call counters and the GPRS-traffic time. Sound. 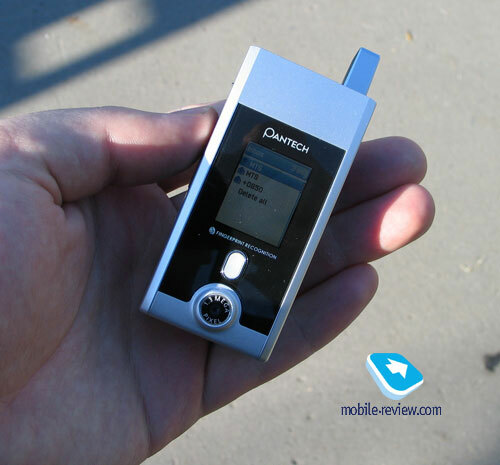 Besides choosing a volume level and a call type (mixed, a melody, only vibra, light) the device also offers to choose a sound for the clamshell opening. As different to a younger model profiles are absent here and that is rather strange. In general there are 20 preset melodies and 10 ringing tones. Settings. This menu hides phone, network and screen settings. In general everything is simple but a possibility to choose a font-color for the menu is worth a talk about. The option is rather curious, the menu gets either clumsy or unreadable. But who knows maybe someone needs the possibility. An automatic answer is an unordinary function. 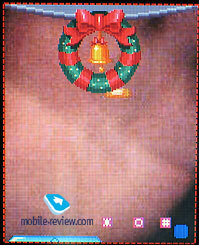 You may record own greeting message and a caller will certainly hear it. 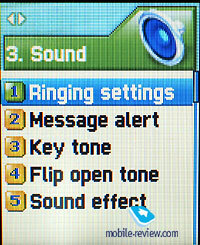 In this mode the phone will record the caller automatically and after you'll be able to listen to the message. It is possible to save 10 messages, the function is rather nice and then there is no need in a standard operator's answering machine and voice mail. But you should understand that you pay for the call anyway. 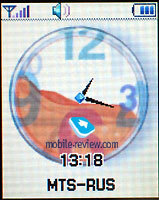 An external indicator backlighting during a conversation should be pointed out as an unusual function. It may shine brighter or calmer depending on the strength of your voice. A sound equalizer of G500 is displayed on an external screen (one of the options) and the indicator plays its role here. Organizer. 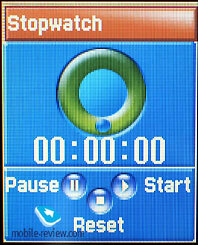 An alarm clock may be set once, recurrent and weekly. 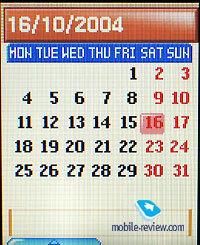 A calendar has monthly view, there is a possibility to save up to 50 events and a reminder may be set for any of them. 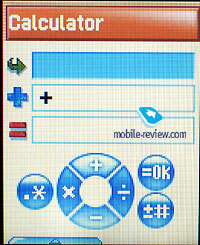 A calculator is rather comfortable, a notepad allows saving short text notes. There is a unit converter and a stopwatch. 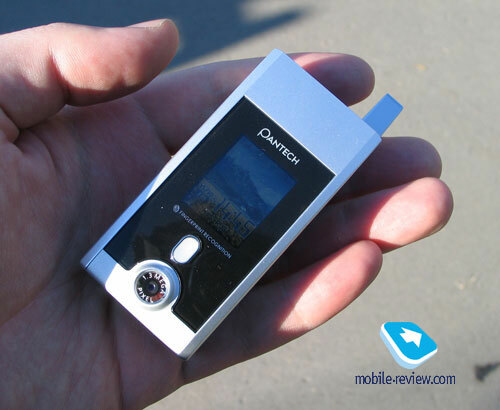 A ditaphone records short clips for 30 seconds in duration and works even during a conversation. Network services. Security settings, redirection and an answer type may be set here. Fun & Tools. The games were described in a passage devoted to the biometrical identification and there is no need to repeat. 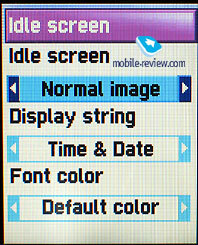 The menu provides access to the camera and it is curious that recording video is possible only via this menu but there is no any quick switch to the mode from the camera window. The menu allows checking all the voice records. WAP. 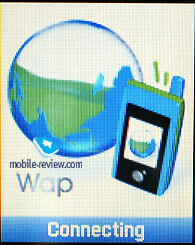 A wap-browser version 1.2.1 is preinstalled, batch communication is also supported (4+1). Java. The device supports MIDP 1.0 but we didn't manage to find applications for it because the model is not wide spread. 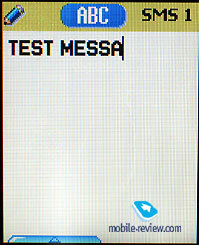 A standard test program couldn't have been uploaded to the phone and a note about an illegal data format appeared. Synchronization with PC. 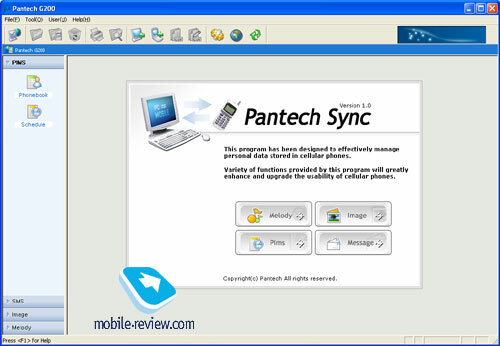 The package includes a cable for synchronization and PC Sync software. The version still remains 0.1. I have some suspicions that it is a carelessness and the version should be read 1.0. 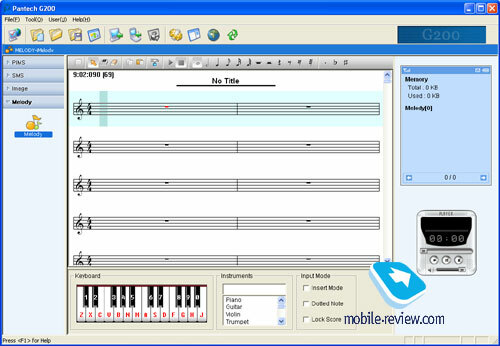 PC Sync allows synchroniazing a notebook and edit it on a PC, typing SMS, setting new melodies and pictures. 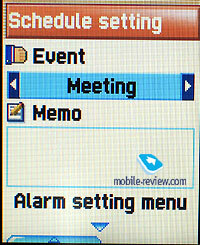 Software capabilities are wide, it works well and is a great advantage of the phone. The minus is that the cable is plugged into a COM-port of a PC but not USB. The port may be absent on old house and office computers and only a two-year old notebook possessed it. Besides a banal presence of ports on a PC I should also tell about the transmission speed for photos. Transmission of all the photos at once is impossible and that may be done by selecting photos in order. In average one photo with maximum quality and resolution takes about 2 minutes and that is too long. Just to compare, VGA-photos in G500 took about 10 seconds, that was long but bearable. The transmission of about 30 photos will take more than an hour. As for me, this speed crosses over all the comfort of the cable in the package. Recorded video may also be transferred to a PC and here the transmission of a clip of the maximum duration (1.9 MB) takes about 10 minutes. And by the way the status bar for the task shows the task is over in 20 seconds and then you'll have to wait for a real finishing of the process for long. Watching the video via a standard program is impossible and thus a third-party player should be found. I'd be grateful to those who provide links to such players because I didn't manage to find a program, that's why I don't talk about the way to watch video samples. As for the quality of the connection GI100 represents evident improvements in comparison with G500. The quality of the sound is not ideal but is rather average, the device is comparable with the majority of the phones in the market. The volume of 64-tones polyphonic call melody is maximum for today and considering the powerful vibrating alert, the call may hardly be missed. The call signal sounds rather nice, MMF-files are supported but there are too few melodies created for 64-tones polyphony. 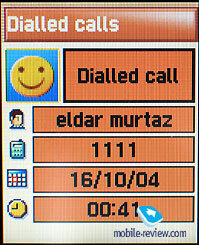 The numbers are large in the dialing mode, pressing the buttons is indicated with sound effects, including a voice naming the pressed buttons. Standard problems include not very qualitative realization of the majority of the present functions, a middling software. It's enough to say that identification of a number is committed not for all the figures but only till the first four are congruent. I'll give an example that really impressed me. Having sent SMS to a short number 1101 I got an answer within an hour. 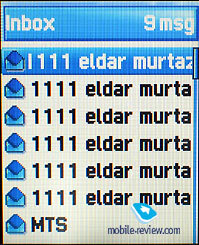 I was very surprised to find out the sender was Eldar Murtazin, so I referred to the phone book to investigate this strange fact. 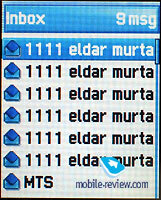 The number 11111 was saved as a test one. It is still a mystery how 1101 and 11111 correlate. 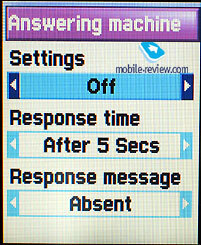 And there are many examples of such little faults, they really spoil all the impression of the phone. The phone would be acceptable in ergonomics terms if the fingerprint identification system were absent, the OK button took the place of the sensor. The presence of a camera of an average quality would make the device look interesting especially considering qualitative screens and polyphony. But all together it makes an impression of a not very qualitative fake. 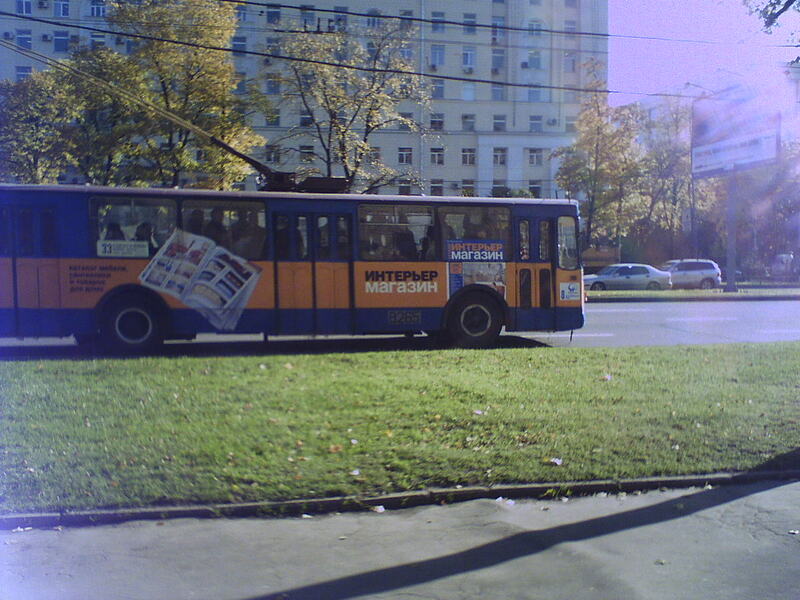 In my personal opinion, all the present technologies were mixed in a single heap, the old platform was expanded and thus it was an attempt to create the leader of the line. Such things are successful when the platform has an expansion reserve and no any serious problems. But in G500 case it was not so. 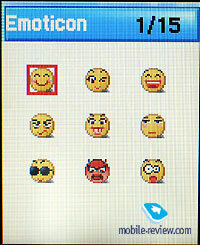 The only things that gladden are well screens, pleasant design and not bad polyphony. 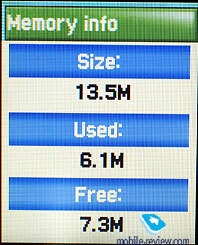 The total memory size of 13.5 MB only looks enough but is too little for camera use. All the rivals with megapixel camera do have expansion cards. 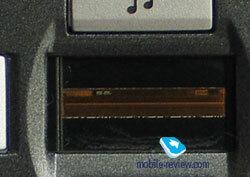 As for LG T5100 memory size is almost twice as bigger but a memory card is also absent. There are much more minuses in the model than pluses and we won't repeat them all. GI100 will suit those who is ready to pay for some innovation and a possibility to convince people around in it. The phone is ideal for talking about the fingerprint identification system for hours, show it to friends and argue about it, at last. GI100 is not very fashionable to possess. And there are little people acquainted with this. That is why the device is not good as a fashion solution. The real price is about 350 USD for today (including the case and the box), but not 500 - 550. It resembles the story of G500. This model was also sold for the same price at the beginning and then it got two times cheaper. 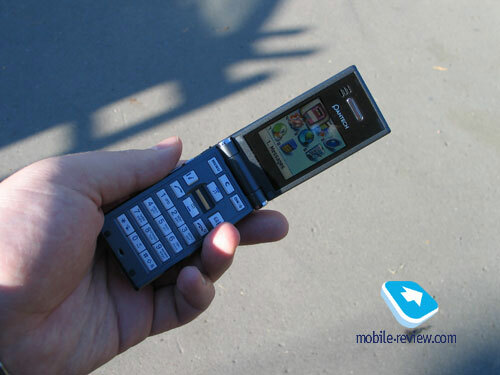 That illustrates the fact that the phones by Pantech are not fashion ones for today. The last recommendation for those who decided on the phone. Try the main functions and imagine the comfort of their use in everyday life. I think you'll be able to get a clue how good the phone is for you. The opinion expressed in the review may be different to yours and evident things may seem differently.